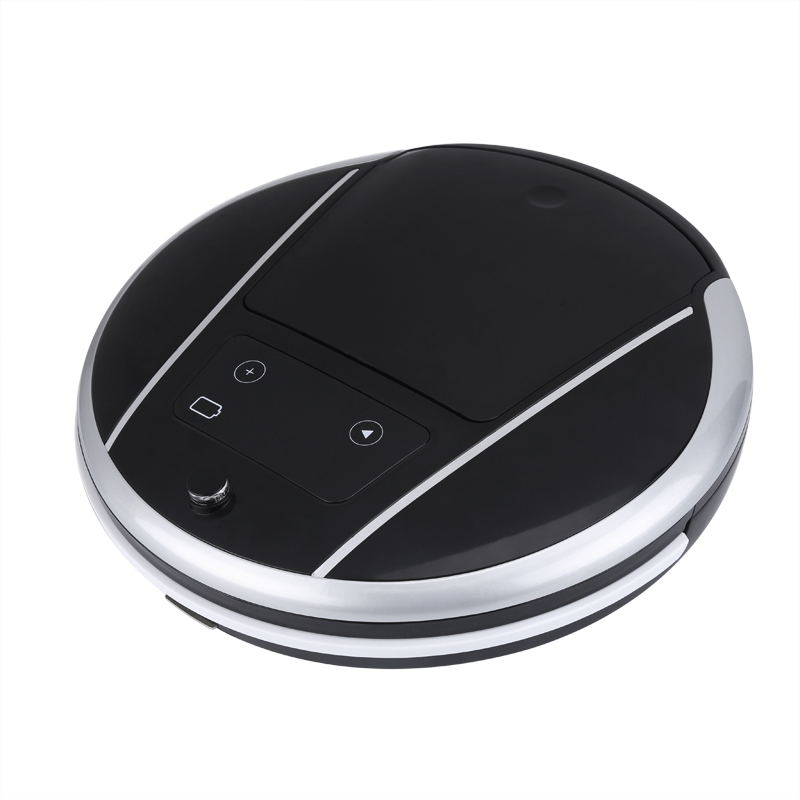 Successfully Added Smart Robotic Vacuum Cleaner - Automatic Recharging, Four Cleaning Modes, 0.6L Dust Box, 800pa, Remote Control to your Shopping Cart. No more worries about cleaning your house – with this robotic vacuum cleaner your home will always be clean and tidy without you needing to spend a minute on vacuuming or mopping the floor yourself. With its intelligent design, this robotic cleaner can be programmed to clean the house at certain times of the day, ensuring that your floors will always be spick and span when you return from work. Featuring four different navigation programs that include ''random'', ''spiral'', ''Z-mode'', and ''wrapping'' you will be able to personally set the cleaning method of your liking. Coming with an abundance of other smart features such as light detection and automatic re-charging – this smart robot cleaner certainly is a great addition to any modern household out there. Packing a powerful 2200mAh battery, this wireless vacuum cleaner is capable of cleaning your floors for up to 90 minutes continuously. Battery life is, however, not an issue to worry about thanks to the robot’s smart automatic recharging feature that automatically finds its way to the charging dock whenever it's low on power – ensuring that it will never run out of juice and finish even the most demanding of cleaning jobs. With 800pa of suction, this powerful vacuum picks up dust, dirt, and small objects – leaving behind nothing but cleanliness. Along with its 0.6L box capacity, this robotic vacuum is capable of hours worth of cleaning without you needing to worry about emptying its bin. Thanks to its numerous smart features, this robotic vacuum cleaner is perfect to be used at home or in the office. Capable of cleaning large areas on its own - you’ll never have to worry about hard and time-consuming household tasks again. This robotic vacuum cleaner is perfect for those that have a busy schedule or for the elderly that are incapable of cleaning their house on regular basis. Whether you have a wooden floor, carpet, or tiles– from now on your floors will always shine bright like a diamond. This robot vacuum comes with a 12 months warranty, brought to you by the leader in electronic devices as well as wholesale electronic gadgets..